At this time of the year there are not many orchids flowering in South Australia but one that is just finishing is Spiranthes alticola. The genus Spiranthes, commonly known as Ladies Tresses, is found throughout Australia, Eurasisa and the Americas.The following description is an extract from South Australia’s Native Orchids 2011 DVD which is available from the Native Orchid Society of South Australi. Etymology: The name alticola means high dweller, referring to its distribution in Eastern Australia, in west Victoria and South Australia’s South East. It also grows near sea level. Synonyms: Previously included in Neottia australis R. Br., S. sinensis (Pers.) Ames and S. australis R.Br. Description: Leaves 3-5, narrow lanceolate, shiny, erect at the base, to 15 cm long. Flower stem to 45 cm tall, slender, flexible, with several sheathing bracts. The flowers are numerous in a dense spiral, pink with a white labellum, rarely all white. Segments are 6-10 mm long, sepals somewhat triangular, petals lanceolate, together forming a short tube, the tips free and recurved, and the lateral sepals divergent. Labellum with a broad, decurved crisped, pellucid mid-lobe, side-lobes erect small. The flowers are faintly fragrant. Flowering: Dec – Jan – Feb. Similar Species: S. australis, S. sp. Late selfing-white. Distribution: SL, KIx, SE; NSW, Vic, Tas. Confined in South Australia to a few high rainfall, near coastal, often mountain locations, southward from the Adelaide Hills in the Southern Lofty region, extinct on Kangaroo Island, (one record only), and South East; also in New South Wales, Victoria and Tasmania. Habitat: Restricted to peaty bogs and swampy creek-sides, often in locations that are inundated throughout winter; in some areas surviving in paddocks grazed by stock. Distinguishing Features: S. australis, which is from the eastern states and is not strictly a swamp plant, has smaller darker pink flowers with a narrow labellum. The two South Australian forms treated here are regarded as distinct species as where they are sympatric they begin flowering at different times and do not intergrade. S. alticola is the more delicate of the two. Notes: The best specimens are found on mowed firebreaks adjacent to swamps. When vegetative reproduction produces two clonal plants next to each other the spiral arrangement of one is often a mirror image of the other. See Gallery. Native bee pollinators work the spikes from the bottom upward but as the stigma becomes receptive well after the pollinia have matured this mechanism helps ensure outcrossing. Plants do well in cultivation if kept moist over summer. Status in Legislation: Not listed nationally, rare in South Australia. For the novice or beginner, orchid names can be a bit overwhelming. To add to their confusion, the more knowledgeable people tend to use abbreviated terms often switching between common and botanical names & their synonyms. This week’s post will be a brief introduction to the most common names used for the South Australian orchids and how they relate to each other. It will not be comprehensive and it will not be a detailed discussion of orchid nomenclature but hopefully it might help the novice learn some of the names in current use. In the past attempts have been made to split some genera. Not everyone has agreed with the splits but there are many who find it more convenient to use the alternate genus when working in the field. This tends to be the case with the larger genera such as Caladenia, Corybas and Pterostylis. Unfortunately, this has contributed to the confusion. The names in this list are compiled from South Australia’s Native Orchids 2011 DVD. Even with this list the use of the names varies quite a bit with some being used rarely. Rather than considering each individual species, the list is centred around the genus name. 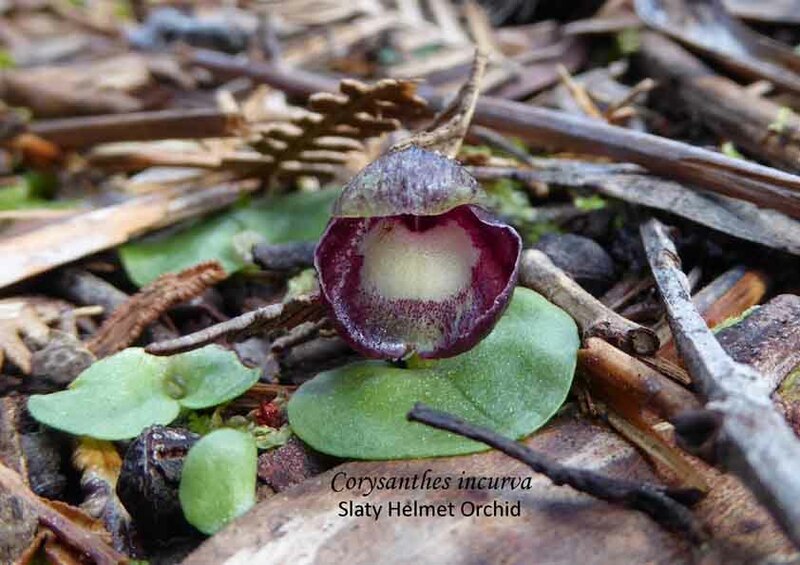 A detailed list of SA orchid species names and their synonyms can be found here . The following are all Pterostylis but not all of them are Greenhoods. This first image is a Pterostylis Greenhood. So they could all be referred to Pterostylis or any of the other possible names whether the common name or a synonym. In the past week there has been some Facebook conversation on the identification of some Thelymitra (Sun Orchids) here in South Australia. Sun Orchids can be problematic particularly when there is only one photograph. If the photograph has a clear view of a diagnostic feature, then identification becomes simpler but there are many species for which careful observations are necessary to determine the correct one. This is important when considering some of the complexes, eg T. nuda and T. pauciflora which have several similar species. Colour is not always helpful as there can be either variation in colour or no colour at all. Further complicating identification is that Sun Orchids readily hybridise, far too easily sometimes! When Robert Lawrence wrote his book, Start With the Leaves, he realised the difficulty in identifying some orchids, so he included a checklist of observations. 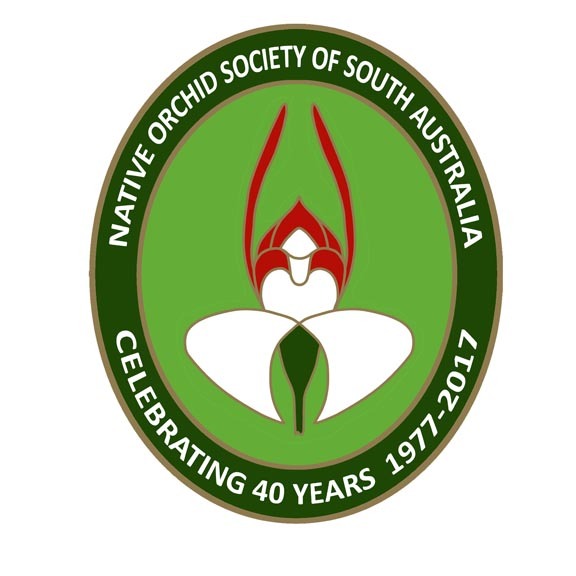 The checklist is extensive but was developed to be used with the electronic version of South Australia’s Native Orchids by RJ Bates which covered all the known South Australian orchids in 2011. To assist in orchid identification, take as many photographs as possible, showing different parts of the plant and habitat from as many different angles. But remember, photograph the typical plants. In this collage there are several species but which is which? At the bottom of the post is a picture showing the parts of the flower. Is the species confined to swamps or very moist sites? Are the plants restricted to a particular habitat or is there a range of situations where it grows? Has it multiplied following disturbance? Does it prefer wet or dry sites? What other plants are growing with the orchids, including the trees forming the canopy? Do plants occur in small clumps? Do plants occur in colonies and if so how large are they? What is the height of the flower stem and width of the flower stem? What are the length, width and shape of the leaf? Is the leaf flat, channelled (u-shaped) or tubular in section? Does the leaf change shape along its length? Does the leaf have parallel ridges? Is the leaf thick and fleshy or thin and papery? What colour is the leaf? Does the leaf have a reddish base and is the red colouration in parallel lines? Are there any hairs on the leaf and are they confined to the margins? Is the leaf rigid and upright or is it weak at the tip and falling under its own weight? What is the tip of the leaf like and does it have a pointed apex? Are the leaves shiny or to they have a powdery covering? What is the colour of the stem? How high is the fistula, the point the point where the stem separates from the leaf? How many bracts are there on the stem (ie those that are not immediately below a flower)? How long is each of these bracts? What colour are the bracts? Are the bracts tightly or loosely wrap around the stem? How long are the bracts? What colour are the ovaries? How long are the ovaries? How wide are the ovaries? What is the length and width of each flower? Do the petals and sepals open widely, or does the flower remain almost closed? What colour are the petals and sepals? Do the petals have spots or darker coloured veins? Is the labellum larger or smaller than the other segments (petals and sepals)? Are segments rounded, pointed or cup shaped? What colour is the outside of the buds? What conditions are required for the flowers to open? Are they only open in hot, humid conditions? What colour is the main part of the column? Is there a tubular structure on the top of the column? What colour is this and does it have a collar of a different colour? Does the lobe have a cleft in the apex and how deep is this? Does the column have lateral lobes (arms) reaching in front of the column? Are there trichomes (hair-like structures) in a mop or toothbrush arrangement? Is there a sharp bend in the column arms? If there is not a tubular lobe, are there three levels of structures on the column? Are there papillae (rows of narrow bumps)? How many and what colour are they? What colour is the crest, if present?